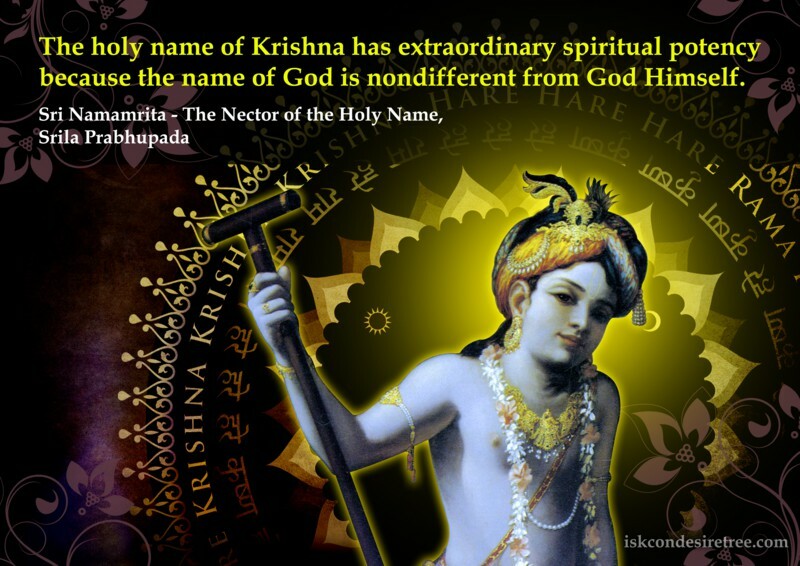 Krishna is present in the form of His transcendental name, and we can contact Him immediately by hearing His name. 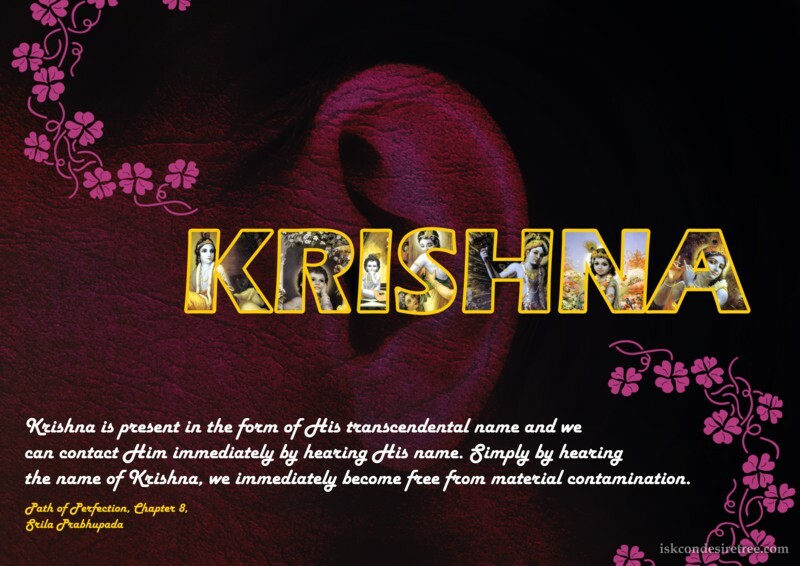 Simply by hearing the name Krishna we immediately become freed from material contamination. 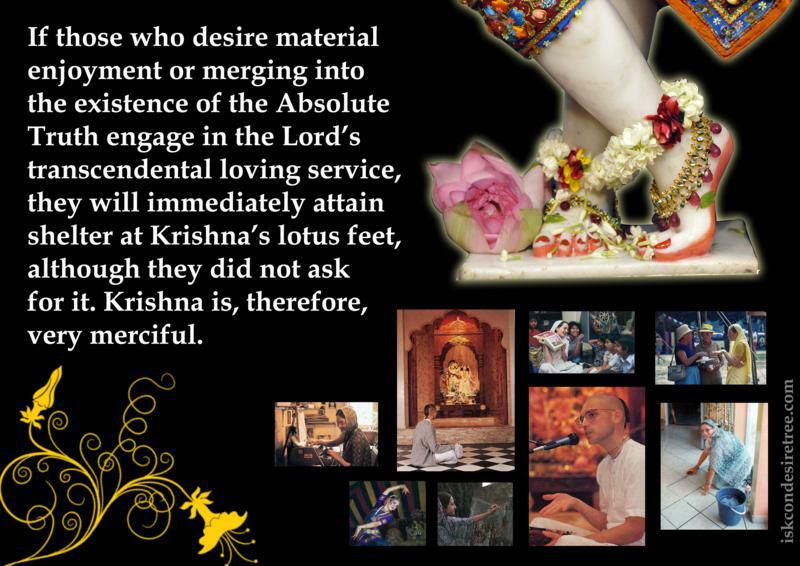 If those who desire material enjoyment or merging into the existence of the Absolute Truth engage in the Lord’s transcendental loving service, they will immediately attain shelter at Krishna’s lotus feet, although they did not ask for it. 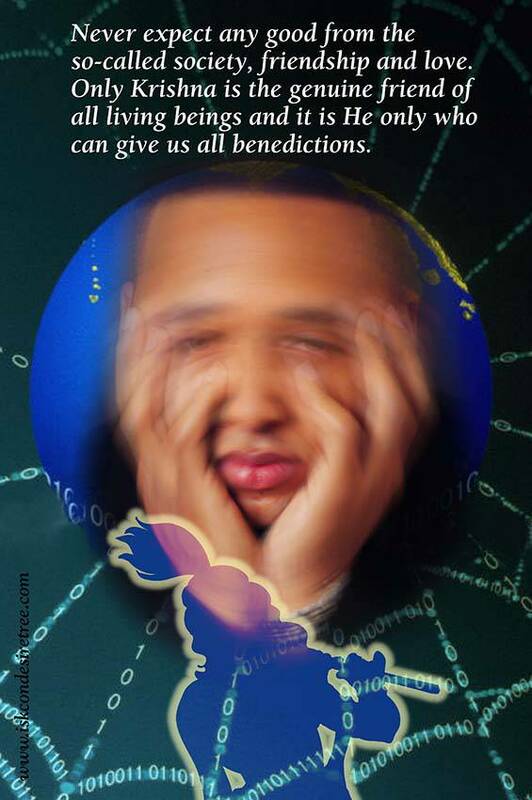 Krishna is, therefore, very merciful. Never expect any good from the so called society, friendship and love. Only Krishna is the genuine friend of all living being and it is He only who can give us all bededictions. 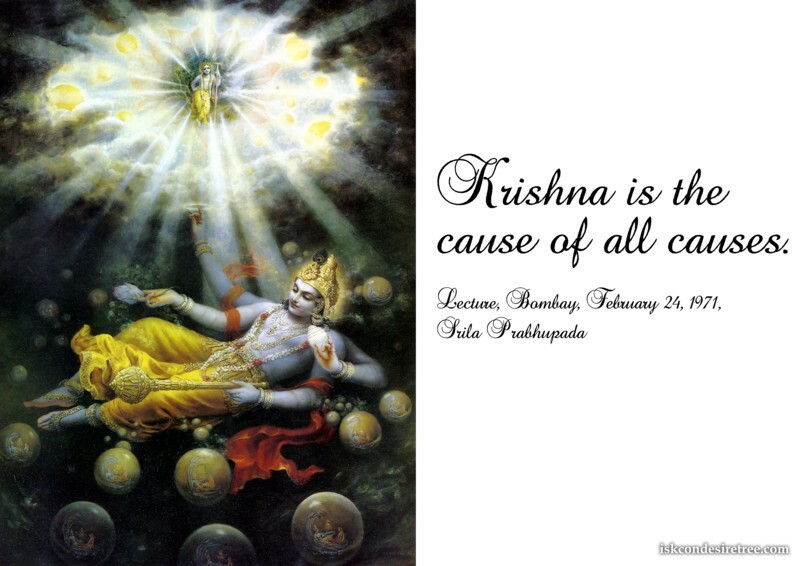 Krishna is the cause of all causes. 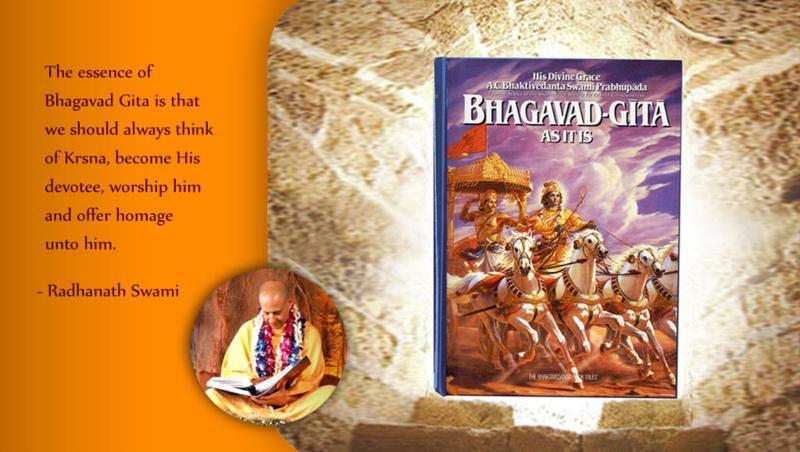 The essence of Bhagavad Gita is that we should always think of Krishna, become His devotee, worship him and offer homage unto him.